Hull - Southern Ocean Shipyard,Poole,UK. The heads can also be used as a bilge pump as they have a diverter fitted. A loveley example of the well trusted Contention 33 originally reviewed by Yachting World magazine back in 1976, describing her as a "3/4 Tonner of just the right size for a racing boat which can be made into a sensible cruiser". A well found sea boat from the highly respected Doug Peterson and very well built by Southern Ocean Shipyard she was at the forefront of 3/4 ton design and led the field into Contessa 34 OOD and others. This particular boat has been raced extensively with many successes and this summer she went across Biscay to Portugal and back. 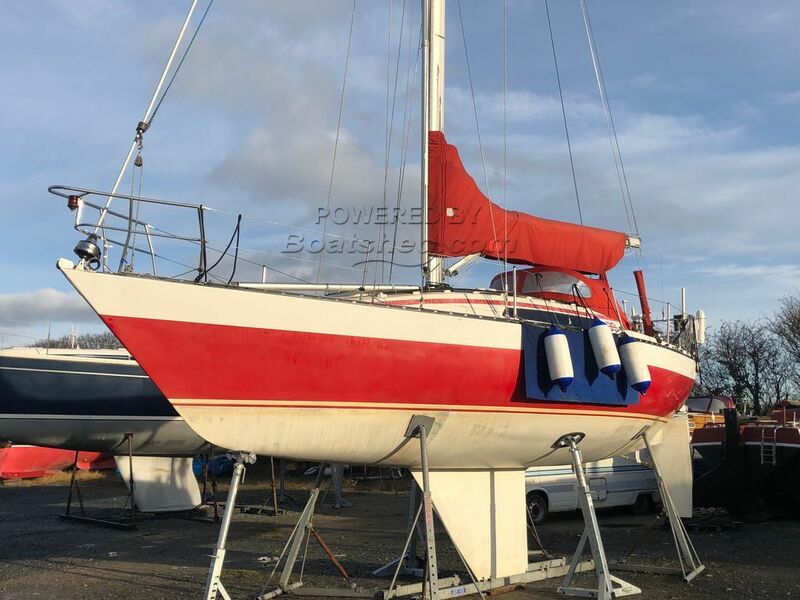 The owners have now bought a larger boat, hence the sale. She has been very well maintained and has a great level of equipment and sail wardobe. There has been no expense spared on this boat. The collapsible boat cradle is included in the sale. This Contention 33 has been personally photographed and viewed by Paul Diffin of Boatshed Lancashire. Click here for contact details.